A couple of weeks ago my parents came to visit and while they are huge fans of the hotels at Logan Airport (don't ask me why), I opted for a staycation alongside their visit at the newly opened Aloft Boston Seaport on D Street. Located directly across from the Lawn on D and a new concept from W Hotels, Aloft combines the swanky ambiance of the W with the affordability of classic Starwood Hotels. And for once, Evie was able to join in the fun-- Aloft is one of the few dog-friendly hotels in the area! When we arrived, the staff greeted us with a Doggy Bag filled with treats and a tennis ball and they even had an oversize bed and dog bowls set up in the room for our weekend adventure. As we made our way to the room one thing was apparent, Aloft prides itself of being super high tech. 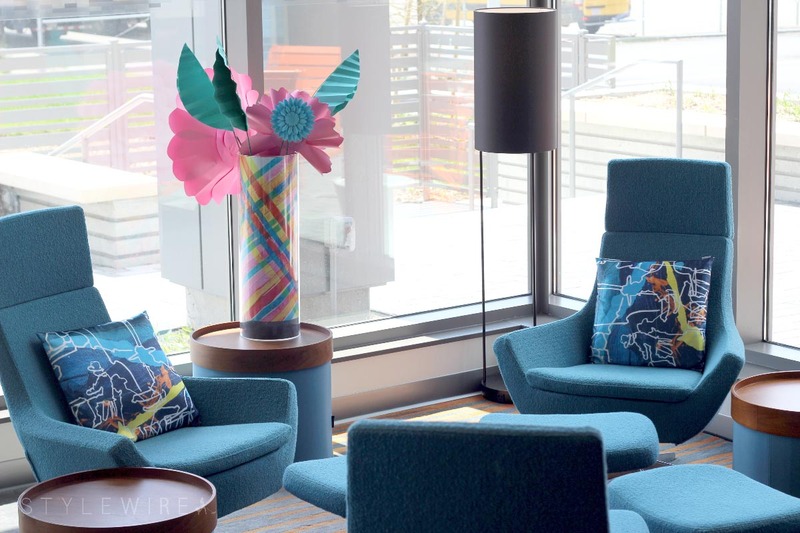 From their touch screen elevators to keyless entry access options and complimentary high speed wi-fi there are endless ways to connect at Aloft. The rooms have a plethora of outlets and USB outlets throughout the room as well as a mini-fridge, iron and ironing board, safe, and a bathroom stocked with Bliss Spa toiletries (I made sure to take the soap when we left). 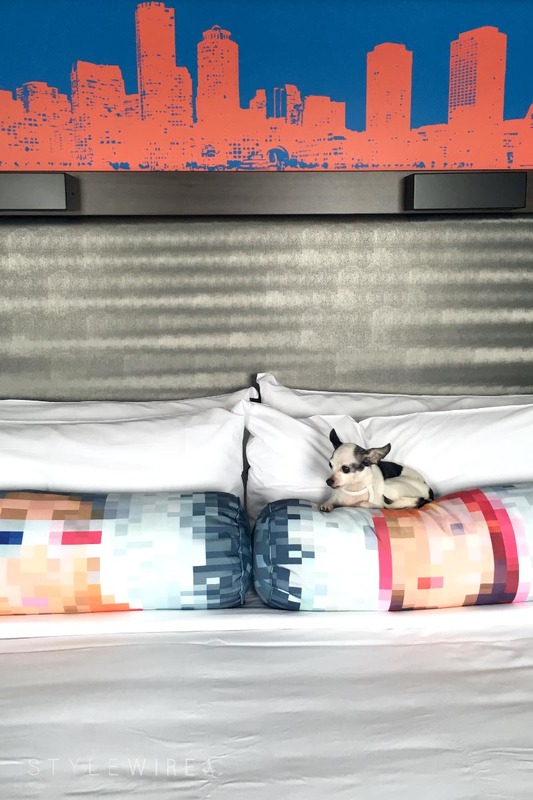 The beds are super comfy, they serve a la carte breakfast downstairs until 11am (including breakfast tots, french toast sticks, and all the coffee you could want), and the rooms and lobby are stocked with creative magazines like Fast Company, Wired, and Domino. 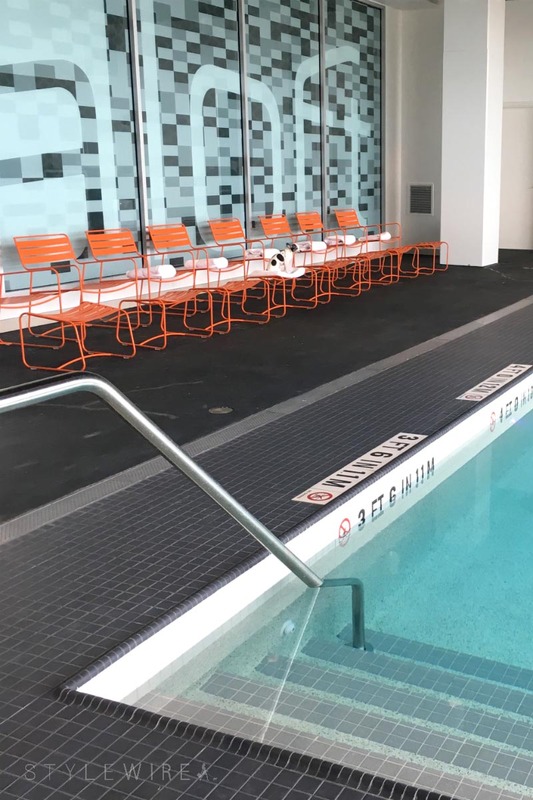 Downstairs you'll find a gym, the W XYZ Bar, outdoor lounge area, and indoor swimming pool. Talk about amenities! The Seaport District is one of my favorite Boston areas and the entertainment options in the area are endless which makes Aloft a great pick for a trip to Boston. If you're a fan of fine dining, local restaurants Nebo and Committee are both within a mile of the hotel. If classic New England fare and cold beer is more your speed The Barking Crab and Harpoon Brewery are also within a short distance of Aloft. 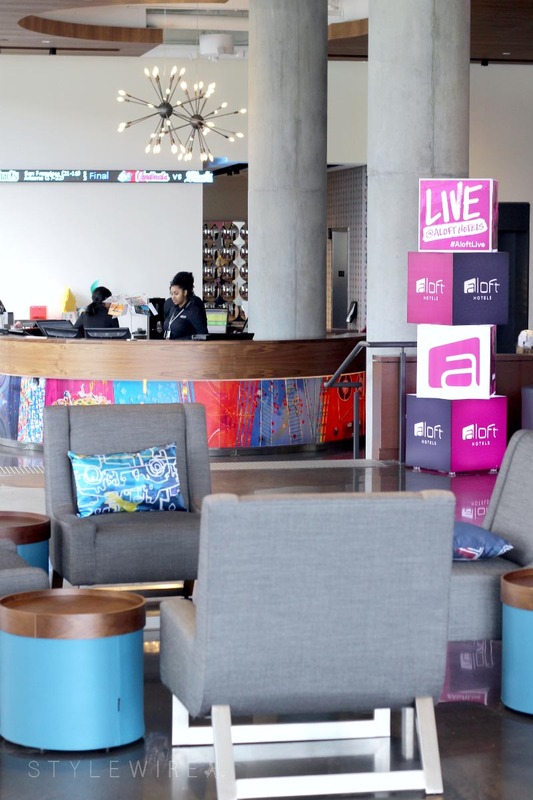 What I loved most about staying at Aloft Boston Seaport was how lively the space is! On Friday night I returned to my room at about 11pm and the lobby and W XYZ Bar was buzzing with guests sipping cocktails, enjoying the evening. 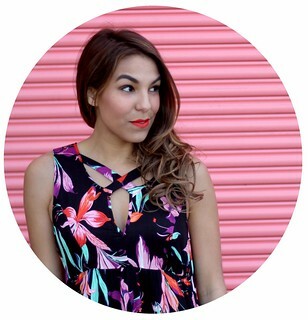 You don't need to go far to enjoy yourself at Aloft Hotels making it the ideal hotel for the young professional who enjoys traveling and indulging in local nightlife. This was my first stay at an Aloft Hotel, but it won't be my last. With so many locations nationwide and such fantastic amenities, it's just a matter of deciding where to go next!